The NRA just made a mistake that could cost them everything. Earlier this month, ABC News reported that the NRA was hosting an exhibit for a Russian arms manufacturing company. This revelation would raise the eyebrows of anyone concerned with the influence Russia is having on our electoral politics. What should raise red flags for all concerned Americans, though, is the fact that this Russian arms company was founded under the umbrella of a sanctioned Russian-state military company, was started by individuals that are sanctioned by the US Treasury and is currently being run by the family of these sanctioned individuals. So, of all the arms manufacturers in all the world why would the NRA choose to host a company that directly connects them to sanctioned Russian authorities with not just close, but deeply intimate and formal connections to Vladimir Putin? While the majority of reports focusing on the relationship between the Trump Administration and Russia assume that Russian entities were trying to form new relationships with the White House through the Trump Administration, this report asserts that the far-right and the Republican Party already had long-standing relationships with Russia. This relationship was nurtured and formalized through interactions with the NRA. Russia wasn’t trying to establish an independent relationship with the Trump Administration. They already had a working relationship with the Trump family through business ties and corporate ventures. When emails surfaced showing that Russian adversaries were attempting to set up a back channel with the Trump Administration through the NRA, the goal was to take a pre-exiting GOP-Russian political back-channel and connect it to the Trump Administration. The NRA hosted TulAmmo because it was a way to connect the Trump Administration, the GOP, the NRA, and Russia under one roof. As under this roof, Trump, Pence, sanctioned Russian entities, members of the GOP, and members of the NRA could come together to exchange intelligence, negotiate agreements, and bypass sanctions. Under this roof, Russia and the GOP could connect with the Trump Administration to advance their federal agenda — despite the illegalities of doing so. ABC News was able to interview the CEO of TulAmmo USA, Ed Grasso, and asked him about his connections to Tula Cartridge Works and Russia. Grasso defended himself by claiming that the Russian parent company is a “completely separate entity” and that no Russians serve as company board members or officers. TulAmmo USA is the American branch of Russian arms company Tula Cartridge Works. The US Treasury Department placed sanctions on their parent company Rostec, and their figurehead Dmitri Rogozin for their contributions to the Russian invasion of Crimea and the Ukraine. Russian operatives connected to Rostec and Rogozin also still work in the leadership structure of TulAmmo USA. These operatives include Alexey Solovov and Mark “Marco” Vorobiev. Alexey Solovov is a former Chairman of TulAmmo USA, but many patents for the company are still held in his name. Solovov is also the founder of another company called High Precision Systems who, like TulAmmo, is parented by Rostec and the Russian state. Solovov owned a major stake in Tula Cartridge Works until he himself was charged with fraud and sentenced to three years of probation. In 2017, he sold his 46.17% of Tula Cartridge Works to Igor Rotenberg. Igor is the son of Arkady Rotenberg who is personally sanctioned by the US in 2014 along with Rogozin. Rotenberg, Sr., is also a childhood friend of Vladimir Putin. TulAmmo Cartridge Works is nothing if not a revolving door for arms dealers and Russian state defense operatives under sanctions from the US Treasury. TulAmmo USA still has Russian nationals directing their operations. One of the founding and current executives is a Russian military expert by the name of Mark “Marco” Vorobiev. In addition to serving as the Director of Sales and Marketing for TulAmmo USA, Vorobiev is best known for his tactical expertise with the AK-47 and for the Soviet tactical training he offers through his company, Behind Lines. Vorobiev runs Behind Lines through Premier Imports, LLC. And through Premier Imports, he also distributes liquor through his company Russian Spirits USA. While the relationship between Vorobiev and Rogozin is still unclear, what is apparent is the fact that Ed Grasso, the CEO of TulAmmo USA, feels a need to cover up the extend of his relationship with the Russian state. In 2015, a year after Rostec and Rogozin were placed on sanctions, photos emerged showing prominent members of the NRA and the GOP meeting with the recently sanctioned Dmitri Rogozin and a number of other Russian adversaries in Moscow. Sheriff David Clarke, Paul Erickson, Pete Brownell, and David Keene were among the members of the NRA and the Republican Party that accepted the invitation to meet with individuals sanctioned by the US Treasury. Amongst the Russians they exchanged information with were Dmitri Rogozin (sanctioned), Alexander Torshin (sanctioned), and Maria Butina. The most prominent political figures that agreed to fly to Moscow to meet with Rogozin and members of his network were former NRA presidents Pete Brownell and David Keene, as well as NRA spokesperson and GOP operative Sheriff David A. Clarke. Pete Brownell is an “NRA Life member since birth, Brownell is the Chief Executive Officer of the legendary family-owned firearm and firearm accessory retailer Brownells.” Brownells is known in the firearms industry as “The World’s Largest Supplier of Firearms Accessories and Gunsmithing Tools.” They also sell TulAmmo USA products. Pete would go on to become the President of the NRA from May of 2017 until Oliver North took control of the organization earlier this month. David Keene was the president of the NRA from 2011–2013. He is also known for his work as an opinion editor at the Washington Times and was an assistant to Vice President Spiro Agnew under Richard Nixon. He continued to grow power within the Republican Party working as the southern regional coordinator for Ronald Reagan’s 1976 presidential bid, the national political director for George H.W. Bush’s 1980 presidential campaign. He also advised Senator Robert Dole in his bids through the mid-1990’s. Keen would go on to co-found the American Freedom Agenda (AFA) and served for a number of years as the Chairman of the American Conservative Union before taking over as head of the NRA. David A. Clarke was the sheriff of Milwaukee County, Wisconsin, before he entered the national political scene in 2013 through an appearance on the Piers Morgan Show. It was there that he sparked a national debate by arguing that individuals could no longer rely on the police, and that they should arm themselves for their own protection. Clarke is one of the most vocal and widely recognized figures in the NRA — and he is currently serving as a spokesperson and senior advisor for Donald Trump’s America First Action SuperPAC. This SuperPAC recently put over 100 million dollars into the passage of the GOP Tax Plan. It cost approximately $40,000 for Clarke to join the Moscow delegation. His trip and expenses were paid for in collaboration by former president of the NRA David Keene and founder of the Russ and Maria Butina, founder of the “All-Russian Public Organization” Right to Bear Arms. Also part of the Russian network that facilitated the connection between Russian and Republican entities were Butina’s sanctioned mentor Alexander Torshin and the aforementioned sanctioned head of Rostec, Dmitri Rogozin. Dmitri Rogozin is the founder of Rostec (parent company of Tula Cartridge Works), deputy to Vladimir Putin, and the head of Russian defense. He was sanctioned by the US Treasury Department in 2014 for his part in the invasions of Crimea and the Ukraine a year and a half before he met with the NRA delegation in Moscow. Maria Butina founded the Moscow based organization Right to Bear Arms. She also has a business called Bridges, LLC that she founded with former NRA President Paul Erickson. The NRA and the Right to Bear Arms have been working together to influence gun control policies in the United States since 2012, one year after David Keene offered the NRA’s assistance to Alexander Torshin. “The mass shooting last week at an elementary school in Connecticut sparked calls for stricter gun control laws in the United States. But thousands of kilometers away, the fledgling gun lobby in Moscow drew a different lesson: Gun laws in Russia should be liberalized. ‘In this shooting six teachers died, six people who could literally use only their hands to defend children,’ said Maria Butina, the organization’s 24-year old founder. ‘The murderer planned this knowing that no one would be armed.’” This call very closely resembles the rhetoric the NRA currently uses to tie Gun Free Zones together with mass shootings, as they have done in response to the Stoneman Douglas High School tragedy. Butina and Torshin have been seen at parties and social events with Donald Trump, Jr. They are also known to have met with him at the 2018 NRA Annual Convention. Butina has also claimed that she was part of Trump’s Transition team. In 2017, two emails from 2016 surfaced that showed at least as many attempts were made to connect Russia to the Trump Administration through the NRA. The New York Times reported that “a deputy governor of the Russian central bank and key figure in Mr. Putin’s United Russia party, was instructed to make contact with the Trump campaign.” This deputy governor was Alexander Torshin. A second email was sent directly from the NRA to the Trump campaign through Maria Butina’s business partner and former head of the NRA, Paul Erickson. Rick Clay is a GOP\NRA operative that commonly uses Christianity as a front to foster ties with Russia. He also takes credit for introducing former NRA President and ex-Nixon Administration staffer David Keene to Aleksander Torshin. On behalf of Torshin, Clay sent an email to Rick Dearborn, Trump aide and former Chief of Staff of Jeff Sessions. This email was entitled “Backdoor Overture and Invite.” Dearborn claims that he forwarded the email to Jared Kushner who dismissed the offer. Shortly following the invitation, though, the now infamous meeting between Donald Trump Jr, Paul Manafort and Russian lawyer Natalia Veselnitskya took place. Robert Mueller is investigating this meeting. Paul Erickson — former NRA President, Nixon alum, and business partner of Torshin’s protégé Maria Butina — also sent an email to Trump Aide Rick Dearborn. This email was entitled “Kremlin Connection.” In it, Erickson requests direction from Jeff Sessions on how to proceed with connecting the GOP-NRA back channel to the Trump Administration. He also suggested that the NRA’s Annual Convention serve as the first point of contact. Donald Trump spoke at the 2016 NRA Annual Convention and received the NRA’s official endorsement the same day. Alexander Torshin, Donald Trump Jr., David A. Clarke, and Pete Brownell were also in attendance. “The Trump administration took its sternest action to date in response to Russia’s global aggression, imposing sanctions that freeze the U.S. assets of seven Russian oligarchs and 17 Russian government officials, including a top banker and Putin ally facing FBI scrutiny for his ties to the National Rifle Association. McClatchy reported in late January that the bureau was investigating whether Alexander Torshin, the deputy governor of Russia’s central bank and a close ally of Russian President Vladimir Putin, funneled money to the NRA so the gun rights group could beef up its hefty spending to aid Donald Trump’s presidential bid. Despite Mueller’s investigation into the ties between the Trump Campaign and the sanctions placed on Russia by the US Treasury Department, though, the NRA\GOP channel that connects Trump and Russia remains open. Not only does it remain open, but it grows stronger. It also grows more careless. 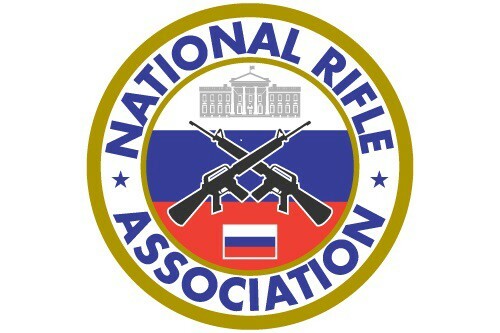 The inclusion of TulAmmo at the NRA’s 2018 Annual Convention, and the attendance of Russia state operative Alexey Solovov signals that the NRA, the GOP, and the Trump administration are still serving as a coordinated network working together to shift political behavior in the United States through Congress and the White House. This relationship also signals that the attempts made by the GOP and the NRA to connect their pre-established political back channels to the Trump Administration were successful, and all targeted entities are complying with requests. While Mueller is investigating certain relationships between the Trump Administration, the GOP, the NRA, and Russia — there is further action that federal oversight entities and the general public can take. These actions include pressing for investigations into sanction violations and organized boycotts of companies that sell and promote TulAmmo USA products. Given the evidence presented, it seems strategically dangerous to assume that TulAmmo is operating in accordance with US sanctions laws. A full investigation should be launched immediately in order to ensure that TulAmmo is falling in line with sanctions law. Individuals can contact their Congressional representatives to push for an investigation into TulAmmo USA and any company that is selling TulAmmo products — starting with Brownells. An investigation should also be launched into the financial relationship between the NRA’s Golden Ring of Freedom Club and the Trump Administration’s America First Action SuperPAC. Special attention should be placed on the relationship between David A. Clarke, Joe Gregory, and Aleksander Torshin. If money is flowing from sanctioned Russian entities, through the NRA’s Golden Ring of Freedom Club and into the pockets of the Trump Administration — Congress and the public should have the opportunity to identify and possible campaign finance or sanction violations that may have occurred as a result of these transactions. Finally, there are many plays that the Russians may be paying into through the GOP and the NRA. There is evidence that one of the most significant pay for play scandals involves the White House’s position on gun control policy via Donald Trump himself. Prior to forming a relationship with the NRA, Donald Trump was known to be pro-gun control. His position changed during his bid for the Presidency. Last year, though, it became evident that Trump was unclear that his previous position was no longer acceptable to his GOP and NRA affiliates. On Feb 28, 2017 news outlets shared a video of Donald Trump shocking GOP and Democratic leaders alike when stating that he was in favor of a number of gun control policies suggested in the wake of the Stoneman Douglas Highschool shooting. He would later go on to reverse this statement and realign himself with the NRA’s position against these same policies shortly after — but the window into Trump’s shifting policy positions had already been opened. These efforts will not be enough to unseat Donald Trump or stop the progression of the GOP and its Russian allies. In order to accomplish that, Democrats must take back both the House and the Senate. As much effort as possible must be put into getting voters to the polls this November. In the meantime, though, we can work to dismantle the channel between Washington, D.C. and Moscow provided by the NRA. And we can also mobilize boycott efforts to ensure that our money isn’t being funneled into Russia and the Trump Administration.